Sometimes you get stuck with a big group in a small area. Maybe it’s raining and you’re crammed in a small shelter or perhaps your just starting out with an indoor facility and you can’t afford a big space. Boxing is a great way to get a good workout in a small space. Below I have 10 different boxing drills you can put into action in your next bootcamp boxing workout. The easiest way to run each drill is in intervals. Have the clients box in 2 minute intervals with 30 seconds breaks. Stop every once and a while for a drink break. One boxer stands while the other gets down in a crunch position. Start with 2 punches, 2 crunches, then 4 punches, 2 crunches and so on up to 10 punches. If time allows, reverse the drill by starting at 10 punches and going back down to 2 punches. The boxer sits on the ground while the pad holder stands behind them. The boxer punches straight up into the pads wth both hands at the same time. Have the boxer get down in a horseriding stance and perform 10 straight punches. Shuffle forward, 10 punches, shuffle back, 10 punches, etc. Increase the number of pushups to turn this into a strength drill. 1 boxer roll – From a standing position, roll backwards onto a mat and then roll back up and stand up. The trick is to roll onto one knee first before standing up. This one is super simple. Have the boxers and pad holders standing ready. At your command, the boxers must carry out the punches you say. For example: ‘Left’, ‘Left’, ‘Right’, ‘Left, Right’, etc. You can use these drills to create an entire bootcamp workout or just keep them on hand for a rainy day. 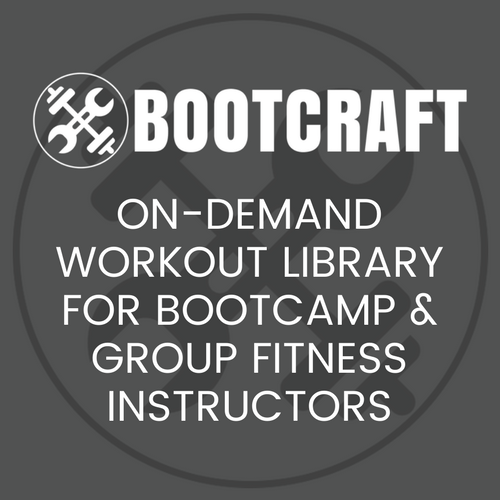 If you enjoyed this post or found it useful, sign up for regular bootcamp workouts and drills ideas for free via our RSS feed or email updates. Was running out of ideas to use on my clients. Hammer punches are kind of like that ‘wack a mole’ game. Pads are held low, face up. Boxer swings fist down like their using a hammer and hits the pad with the bottom of their fist.